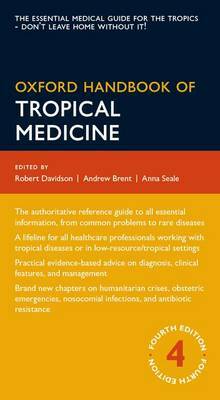 The Oxford Handbook of Tropical Medicine, fourth edition is the definitive resource for medical problems in tropical regions, and in low-resource settings. Comprehensive in scope, and concise in style, this portable guide ensures that you always have the vital information you need at your fingertips. Fully revised and updated for its fourth edition, it includes brand new chapters on humanitarian crises, poisoning and envenoming, nosocomial infections, and antibiotic resistance. The paediatric illness sections have been expanded, and website links have been fully updated and extended. With the clear, easy-reference style of the trusted Oxford Handbook format, written and reviewed by an international team of clinical experts, this is a truly global handbook and an essential resource. Make sure you never leave home without it!